Its everything youd want in a beer, but less! 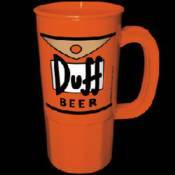 Its moderately priced, average quality, heavily marketed goodness of Duff beer! So, the next time you get fired or want to make a jackass outta yourself, just reach for a can of that wonderful stuff, Duff!